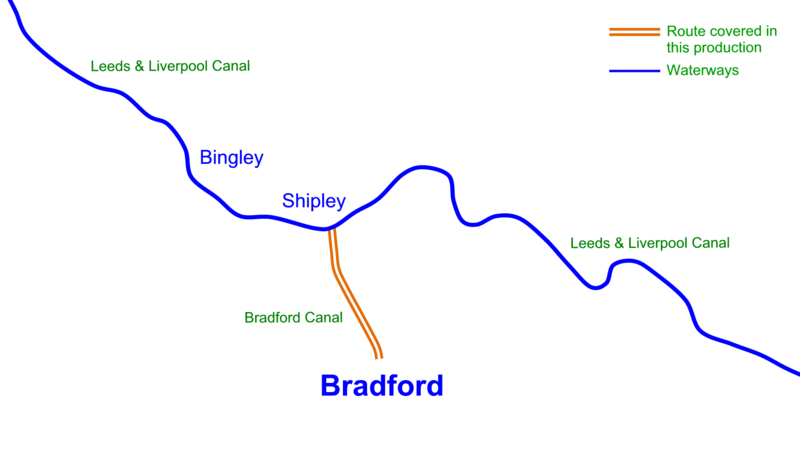 The Bradford Canal once ran from the Leeds & Liverpool Canal at Shipley to Bradford. It opened in 1774 and closed in 1922. There are proposals to re-open it. Extract from Bradford Canal Map. 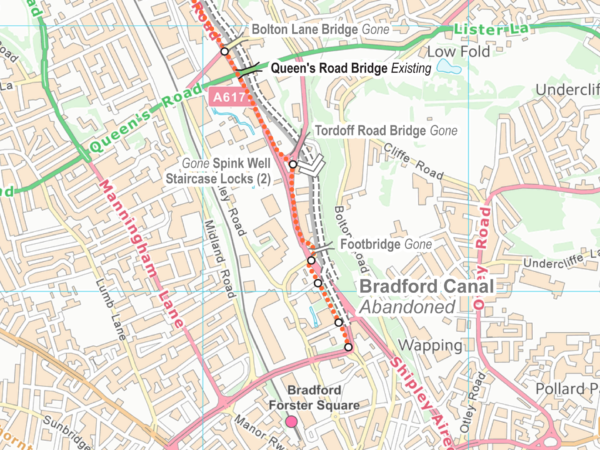 Visit the Bradford Canal Map pages to download the free map on its own. This entry was posted in Bradford Canal, Bradford Canal Maps by Paul. Bookmark the permalink.